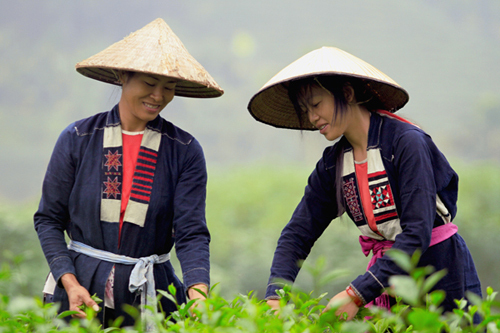 VietNamNet Bridge - Young women of each ethnic group in Vietnam have their own characteristics and costumes, making the beauty of the 54 ethnic groups more diverse and attractive. The San Chay girls (also known as Cao Lan, San Chi, etc.). San Chay people mainly live in the North East. There are many San Chay people in the provinces of Tuyen Quang, Thai Nguyen and Bac Giang. The Mong group has nearly 800,000 people, concentrated in the mountainous provinces of Ha Giang, Tuyen Quang, Lao Cai, Yen Bai, Lai Chau, Son La, Cao Bang and Nghe An. The Mong people have different groups such as Mong Do (White Hmong), Mong Lenh (Flowered Mong), Mong Si (Red Mong) and Mong Du (Black Mong). Pa Then people mainly concentrate in the provinces of Tuyen Quang and Ha Giang. They often live along streams, in valleys or low mountains. Two Red Dao girls in colorful costumes. In Vietnam, the population of Dao people is not big but the villages of Dao people spread from the northern mountainous provinces such as Cao Bang, Ha Giang, Lao Cai, Yen Bai, Lai Chau, Tuyen Quang to some midland provinces like Phu Tho, Vinh Phuc and Hoa Binh. 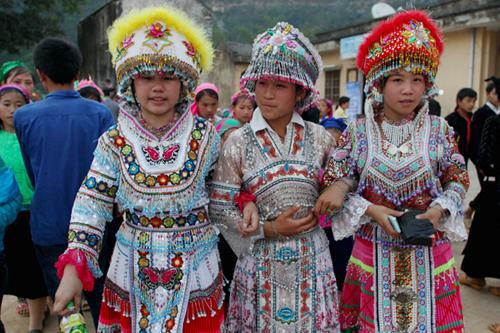 Mong people’s costumes are mainly made by self-made linen. 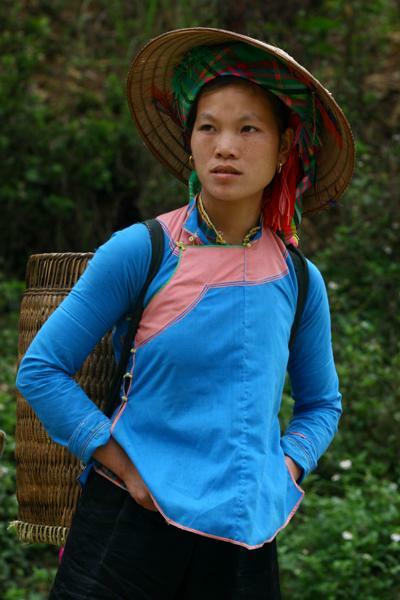 The Lo Lo people mainly live in the northern mountainous provinces of Ha Giang, Cao Bang and Lao Cai. 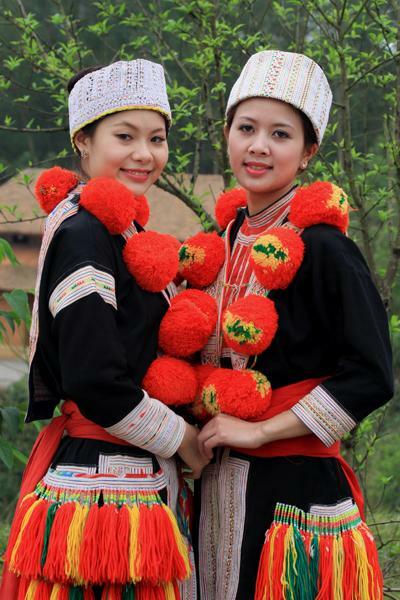 The Lu people are also known as Lao Lu, Lu, Nhuon and Duon. The Lu population is about 4,000 people, living mainly in some upland communes of Tam Duong, Tan Uyen and Sin Ho district, Lai Chau province. 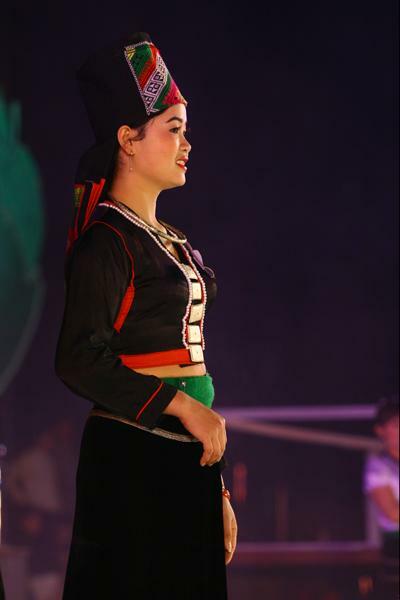 The Giay ethnic group has approximately 38,000 people, residing in Lao Cai, Ha Giang, Lai Chau and Cao Bang provinces. They are also known as Nhang, Dang, Pau Thin, Cui Chu and Xa people. A Kho Mu girl. 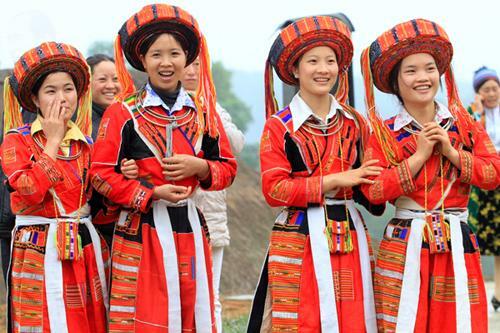 This ethnic group is concentrated mainly in Nghe An, Son La, Lai Chau, Lao Cai and Yen Bai, with about 100,000 people. Hre people live in the central province of Quang Ngai and Binh Dinh. They like wearing jewelry in bronze, silver and beads. Cham people live in the southern region of Vietnam, such as An Giang, Ninh Thuan and Binh Thuan provinces, with about 160,000 people.